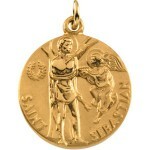 "Religious-Jewelry tips, articles and stories"
With the 2008 Olympics in Beijing China upon us, here’s a little bit about Saint Sebastian the patron saint of athletes in honor of all the athletes worldwide participating in the games. I came across this today and it’s simply too cute not to post. 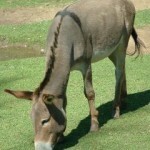 The story of the Nativity and why donkeys are emblazoned with a crucifix.